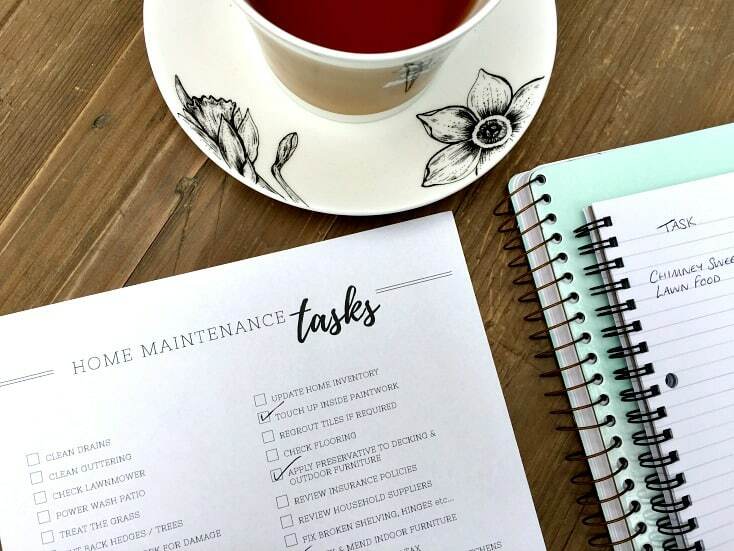 It’s all too easy to be overwhelmed by the amount of jobs that are needed to run a house on a day to day basis – but what about the next level of tasks – those home maintenance tasks that we know we should be doing, but maybe aren’t sure exactly what to do? There are things for outside, in the loft, general checks and repairs, reviews to be done – and loads more! (Please note – this is NOT an exhaustive list, it’s aim is to show you the different types of jobs to consider, but your home may have different needs – so I would advise walking through it in it’s entirety to ensure nothing in your specific space gets forgotten). Review household suppliers – are you on the best deal? Check all UPVC windows for condensation, cracks etc.. If you want to use this list and don’t want to write it all out (I don’t blame you!) – you can pick up a copy in the FREE PRINTABLES section of the blog – hopefully this makes things a little easier for you! The OMH Printables Library is the place where all free printables from the site are kept. Simply enter your email to become a member and get instant access. Hope you enjoy! By the way…. it’s also worth knowing tradesmen to help you do all these tasks, and having their details to hand for when you need them. A ‘little black book’ is very valuable for this sort of thing!. 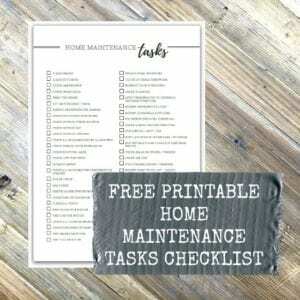 (I keep mine in my Home Maintenance section of my Home File – all in one easy to find place!). So – you now know what has to be done, and you have a home maintenance checklist to help – but how do you go about actually GETTING it done?